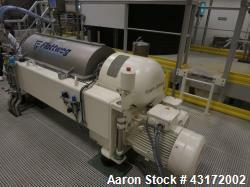 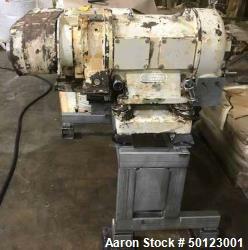 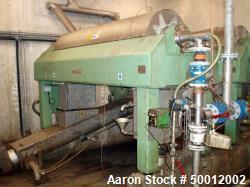 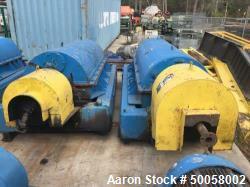 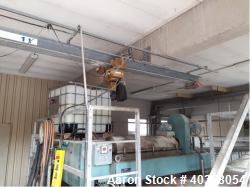 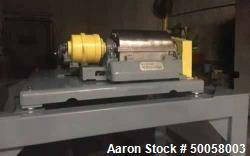 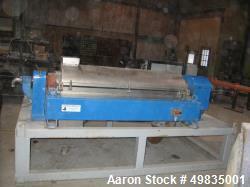 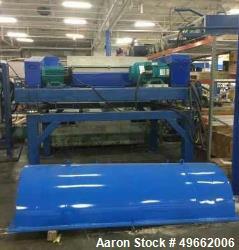 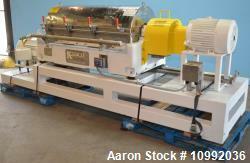 Used-Alfa Laval MRNX-414S-31G Solid Bowl Decanter Centrifuge. 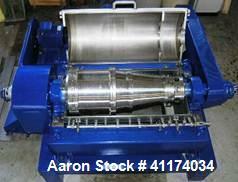 Stainless steel construction (product contact areas), max bowl speed 4000 rpm. 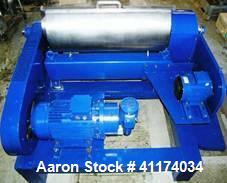 Single row of solids discharge ports, 2.5 kN gearbox 1, base, casing, safety guards, 22 kW drive motor 380/3/50.